Oil on canvas, 47,5 x 34 cm. In this painting, Wilhelm Marstrand has portrayed the tragicomic hero Don Quixote as a despondent and confused man, staring into space. The colours are dark and blotchy, which is intended to reflect his state of mind. Marstrand was deeply intrigued by the tale of Don Quixote as the idealistic archetype and completed a great number of illustrations based on Cervantes’ novel. Don Quixote became a representation of Marstrand’s own condition. The disillusioned knight who struggled to distinguish fantasy from fiction reminded Marstrand of his own struggle between his depiction of the real and ideal. 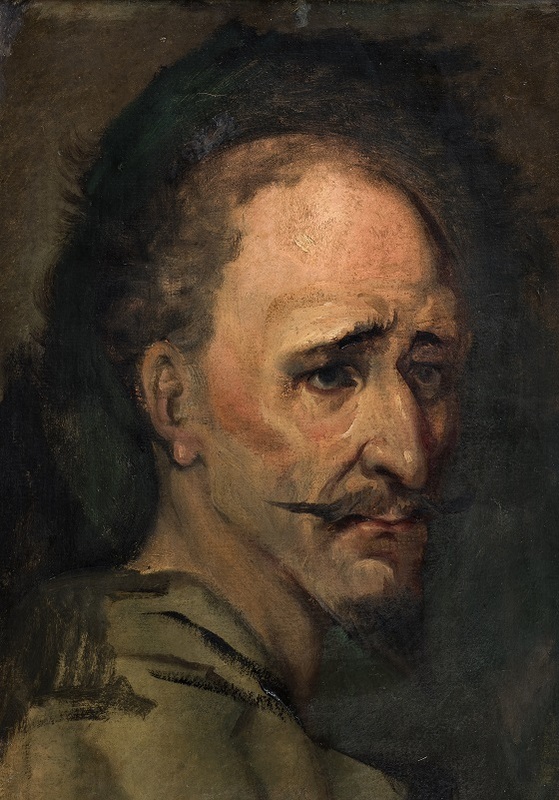 Marstrand accordingly had two overarching themes in his depiction of the tragicomic figure: The upbeat and optimistic Don Quixote in pursuit of the ideal on the one hand, and the despairing Don Quixote who has finally acknowledged defeat.